SKECHERS has released some serious good road shoes. With the new GoBionic trail they are aiming the serious trail runners as well. 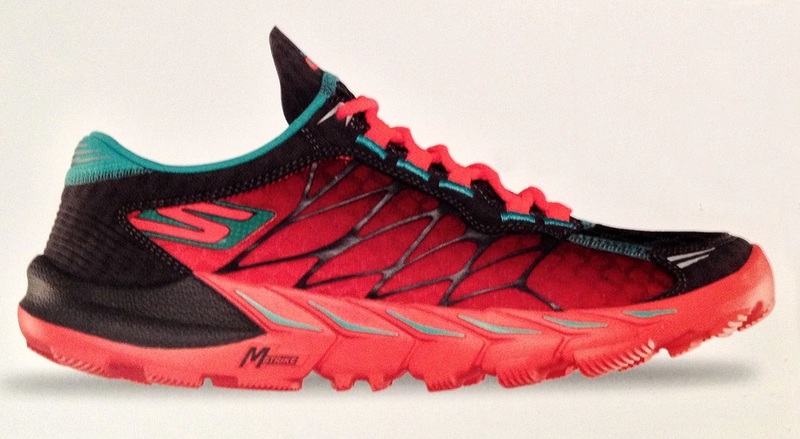 The Skechers GObionic Trail is built on the top performing GObionic platform. It is more minimal and flexible than the current GOtrail since it’s a zero drop without the Ortholite sockliner and 4mm drop with the sockliner. The outsole is now made out of Resagrip, a new Skechers’ proprietary compound intended to be durable, flexible and lightweight. Upper comes with a integrated tongue and it can be worn with or with out socks. The flex grooves been designed to avoid collecting debris. In addition, the GObionic Trail has a diffusion plate in the sole to disperse pressure on rough terrain. It also performs very well as a road running shoe due to it flex grooves. Read Coach Caleb of Team Wicked Bonk Proof excellent review and his take on the design process! Available June 2013 with an MSRP of $80.